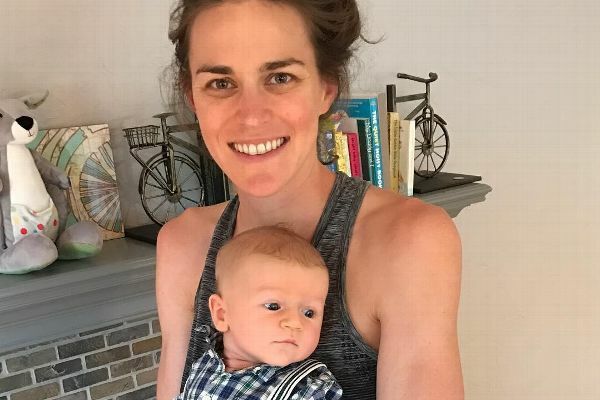 Gwen Jorgensen with her three-month-old son, Stanley. Last week, world and Olympic champion Gwen Jorgensen announced that she'll retire from triathlon to pursue Olympic gold in the marathon in 2020. Many experts don't doubt that the most dominate triathlete in the world will also become a top marathoner -- and the transition between sports will be exciting to watch. And that's not the only transition for Jorgensen, who gave birth to her son, Stanley, on Aug. 16. Next week she will celebrate Thanksgiving with her husband, former pro cyclist Patrick Lemieux, and their now 3-month-old. "Thanksgiving is my favorite holiday because it's all about giving thanks, family and food," she says. She also loves to cook -- and host family for the holiday. She gave us the details on four of the dishes she's looking forward to making (and eating) for Thanksgiving this year. 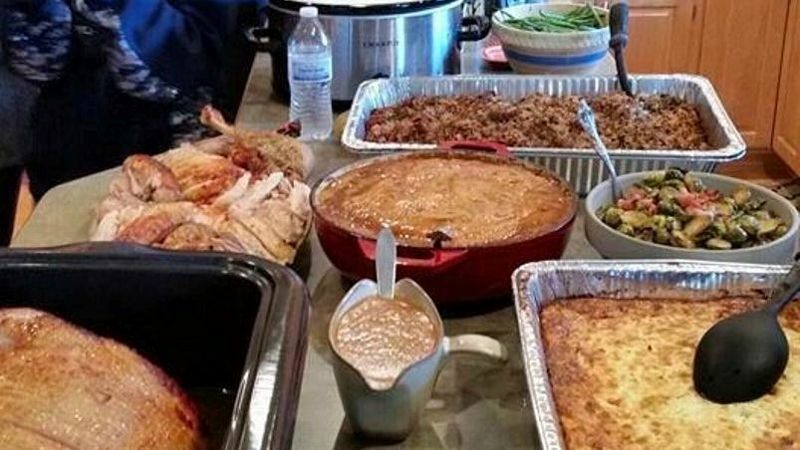 A recent Thanksgiving spread from the last time Gwen Jorgensen hosted her family. 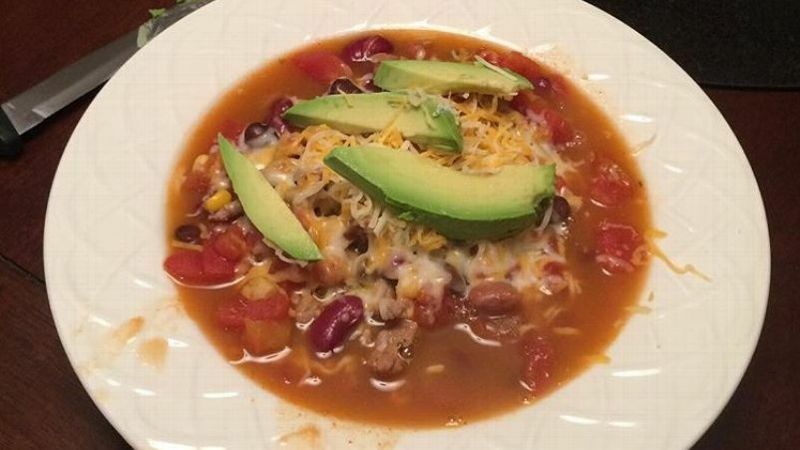 Why I love it: Thanksgiving foods are very rich, which I enjoy, but this recipe is a bit lighter and fresh. It's the only fresh salad type thing we have at Thanksgiving. 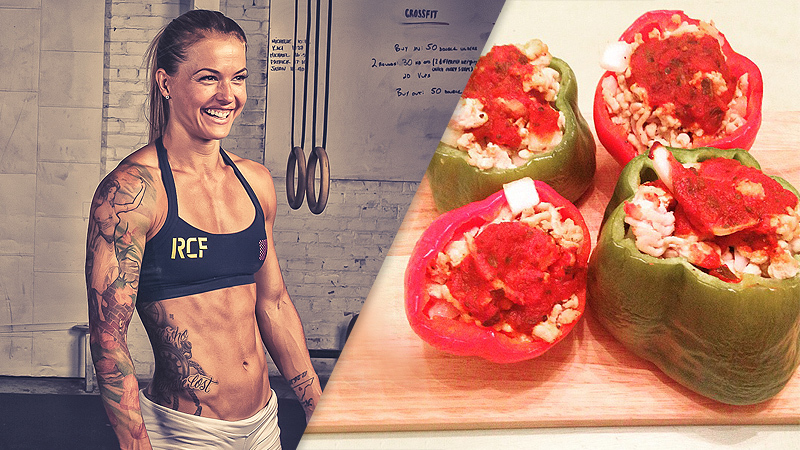 I eat tons of the unhealthy, rich foods, but always crave something fresh to go with them. 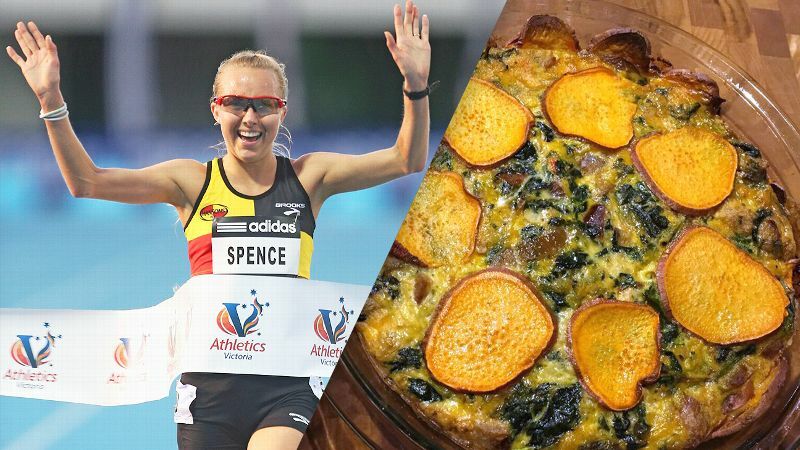 Gwen Jorgensen's dad's famous potato casserole. Wash and drain cranberries. Chop in food processor by flicking the switch on and off a few times. Place chopped cranberries in a bowl. Quarter apple and remove core. Chop apple in the food processor and add to the cranberries. Grate the rind from the orange and add to the cranberries. Peel the orange and cut it into small dice. Add to the cranberries. Stir in sugar until well combined. Cover and refrigerate at least an hour before serving. Why I love it: It is a staple at every holiday and always delicious. 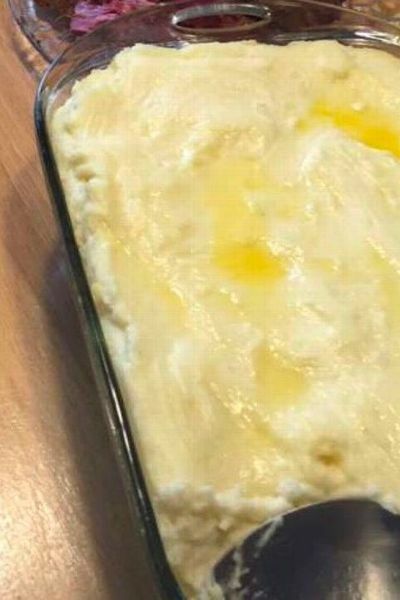 It's not very healthy, but I promise you won't be able to turn these mashed potatoes down! Peel potatoes. Boil until tender. Combine potatoes, onion salt and garlic salt. Soften cream cheese in large bowl. Add sour cream. Blend potatoes with cheese mixture until smooth. Spoon into a buttered 9x13 pan. Generously brush the top with melted butter. Sprinkle with paprika and garnish with chives (optional). Bake at 350 degrees for 30 minutes. Why I love it: It is a staple at our Thanksgiving and great for making a cranberry turkey sandwich or eating on its own with butter or dipped in gravy. 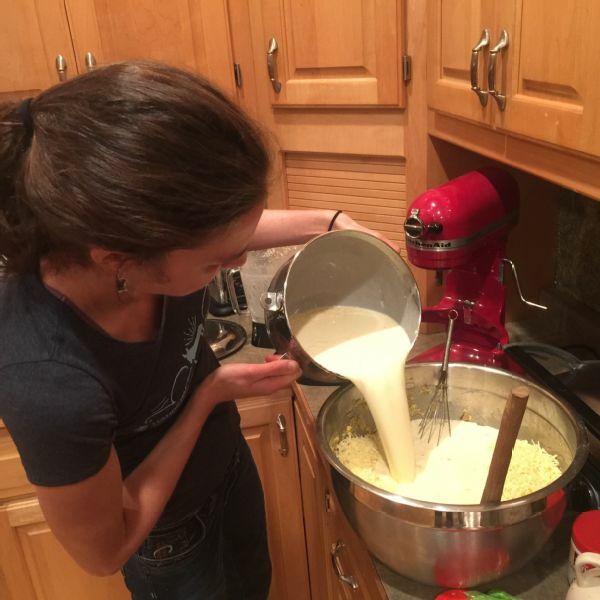 Gwen Jorgensen likes to cook -- and to eat both healthy and unhealthy dishes on Thanksgiving. Combine 3/4 cup flour, sugar, salt and yeast. Heat milk, water and margarine to 120-130 degrees. Add to dry ingredients and beat for two minutes. Add 1/4 cup flour. Beat on high for two minutes. Stir in enough flour to make a soft dough. Turn onto floured board and knead two to three minutes. Place in a greased bowl. Cover. Place bowl in large pan of very warm water. Let rise 15 minutes. Turn onto floured board and divide in 12 equal pieces. Shape into smooth balls. Arrange on greased 8-inch round cake pan. Cover. Place pan in shallow pan of very warm water. Let rise 15 minutes. Bake at 375 degrees for 20 to 25 minutes or until done. Why I love it: My mom likes to make pies the day before but she knows she must hide the pecan pie otherwise I'll pull the pecan pieces off the top! I can never resist! So delicious. Gwen Jorgensen's mom's pecan pie. 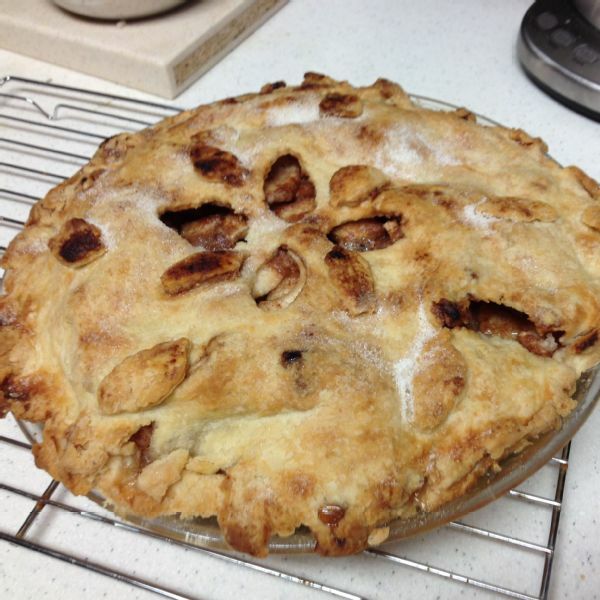 First, make pie crust. Measure flour and salt into bowl. Cut in shortening. Make a well in flour mixture and add egg and vinegar so flour is moistened and dough cleans side of bowl. Makes two 10-inch crusts. Next, mix sugar, brown sugar, salt, corn syrup, butter, eggs and vanilla together in a bowl. Pour chopped pecans in the bottom of the unbaked pie shell. Pour syrup mixture over the top. Cover top and crust lightly/gently with foil. Bake pie at 350 degrees for 30 minutes. Remove foil, then continue baking for 20 minutes, being careful not to burn the crust or pecans.